If you were a spectator of the first Bobcats versus Knicks game of the season then you likely know that Tyson Chandler was riddled with injury lasting from four-to-six weeks. Since Tyson fell to a right leg injury or, a non-displaced fracture in his right fibula to be exact, here is a recap on what the Knicks have lost for the meantime. 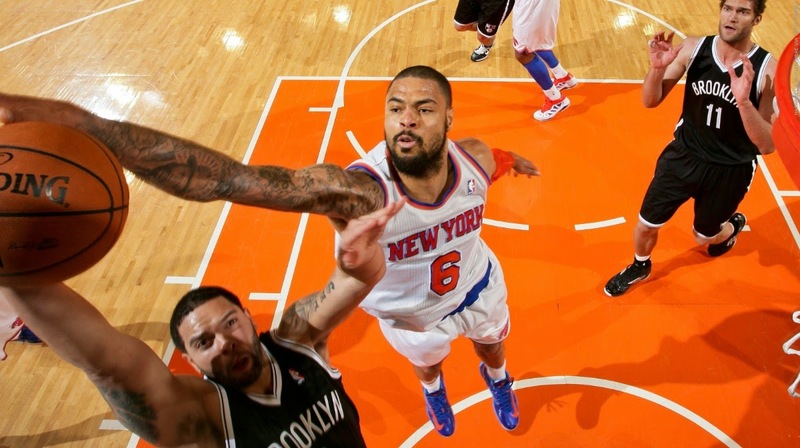 Effort Losing Tyson Chandler to injury has made the Knicks lose one of their most useful hustle players. Tyson worked out in the postseason to get better, and it showed in the few games that he played. Tyson played with life and energy and really tried to be the big man that the fans and his teammates can depend on. Tyson Chandler acknowledged what he needed to become this season after last seasons' playoff exit and it seemed like he was headed down that path averaging 2.5 blocks, 1.3 steals and 9 rebounds. 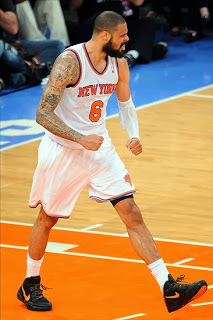 Efficiency After losing Tyson to injury the Knicks have also lost efficiency on the offensive and defensive end. Tyson's efficiency does not only show in his stats, but he helped with the little things such as presence in the paint and tipping out rebounds to teammates in the perimeter for second chance points. Another byproduct from the loss of Chandler is the presence of a valuable big man in the paint. 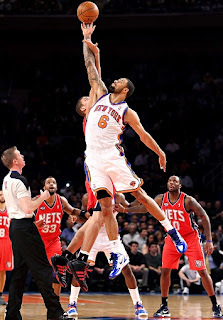 Although the Knicks have three big men in Amar'e Stoudemire, Cole Aldrich and Andrea Bargnani none of their defensive and athletic ability even compares to Tyson's at this point in their career. Amar'e is working on limited minutes after coming back from a serious knee injury. Andrea Bargnani is known for his lack of defense despite being a 7'0" power forward, and the number one overall pick in 2007. Cole Aldrich just won't cut it unless he pulls deep within himself and showcases a better side of him, one that no one has yet seen. Since nothing is for sure in life and in the NBA the Knicks may not be doomed for the next four-to-six weeks, but there is no doubt that the team will need to work more on defense to compensate for the loss of Tyson Chandler. 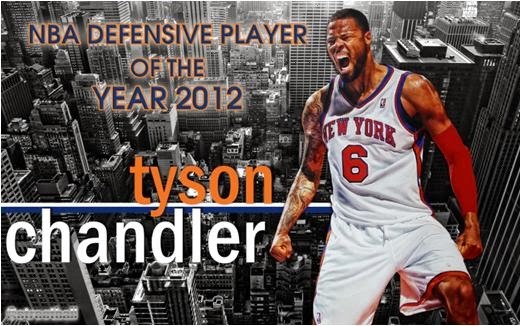 Defense If you are a Knicks fan then you already know that Tyson is and should be a defensive player, so with that being said the loss of Chandler also includes the loss of defense for the Knicks. Tyson is the most capable on the Knicks roster of grinding with big men in the post and creating offense through his defense. Although he has only played three full games this season Tyson was already on a roll accruing 19 rebounds and 1 steal against the Bulls, and 6 rebounds, 3 steals and 5 blocks against the Bobcats in his two biggest defensive games of the season. There is no doubt that Tyson's athleticism, effort and defense will definitely be missed by the Knicks staff, teammates and fans. Although you will be gone for a few weeks your absence will be felt and missed.